Cut the watermelon in half and use a melon baller spoon to make a series of holes in it. Place the removed balls in a saucepan with the sugar and 1/2 L of vodka and warm to make a syrup. Leave the syrup to cool and add more vodka to taste. 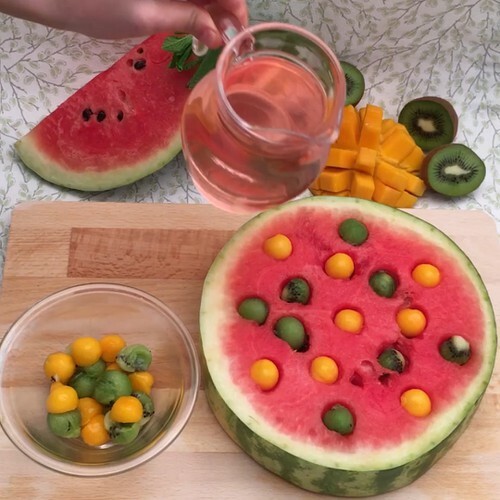 Make balls of mango and kiwi and arrange them in the watermelon holes. Pour the syrup over and enjoy. Cheers!